Tough talks on issues of trade, climate change, and international security await the world's leaders, as the G-20 summit kicks off in Hamburg. 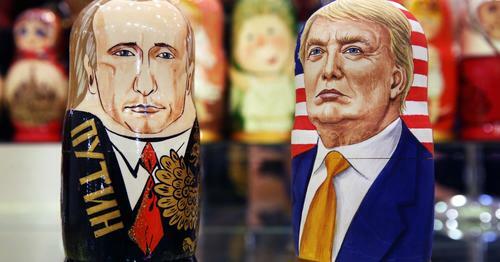 All eyes are on President Trump and his counterpart Vladimir Putin as they hold their first face-to-face meeting on the sidelines of the summit. 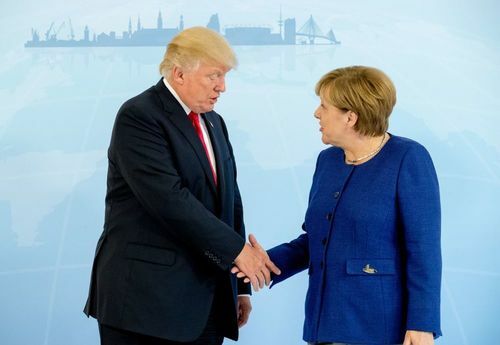 President Trump and Chancellor Merkel met ahead of the formal talks. They appeared to have a slightly less awkward introduction than their meeting in Washington. They did in fact shake hands. That's in contrast to Merkel's Washington visit, where she reached out for a handshake that never happened. Meanwhile, around 12,000 protesters greeted arriving heads of states with a message - "Welcome to Hell." 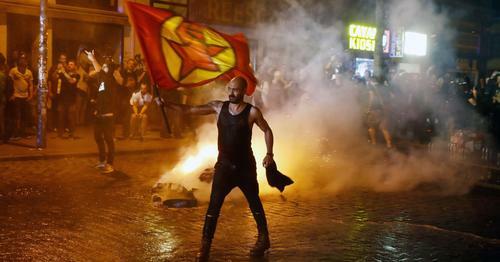 Overnight, the protests turned violent, as anti-capitalist demonstrators clashed with police, injuring more than 70 officers. 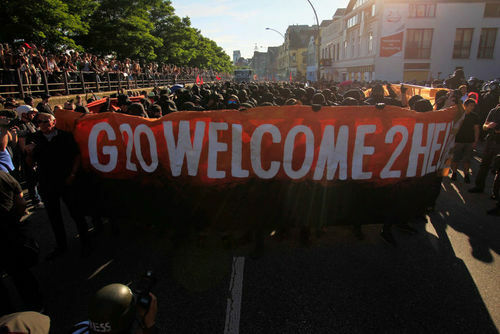 Up to 100,000 protesters are expected in Hamburg over the course of the G-20 summit. U.S. stock markets stumbled yesterday, closing at their lowest levels since mid-May. 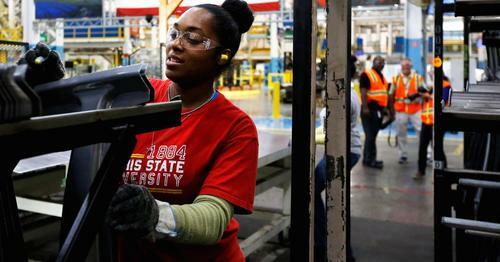 A disappointing ADP jobs figure, showing the private sector created 158,000 jobs last month, and tensions in Korean peninsula added to pressure on the markets. 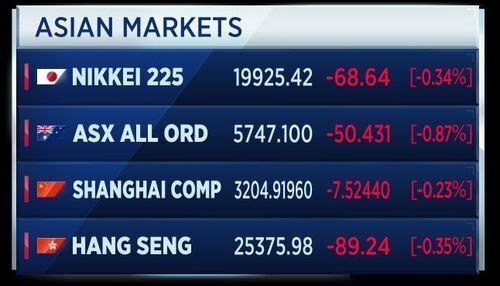 Asian markets followed Wall Street lower. Central bank hawkishness is driving up yields on government debt, making equities less attractive. Alex Kokcharov, principal analyst for Europe & CIS country risk at IHS Markit, says the objective of the G-20 meeting is to bring back a multilateral approach to solving key issues. Whether it will succeed, it’s yet a big unknown. This is the first G-20 meeting which Trump will be attending. The key thing is he’s the new president of the U.S. and the reality is that all the other countries will have to deal with that. We will see also bilateral meetings as part of the G-20, also meetings between Trump and Putin, and also Trump and other international leaders. The countries leading the Qatar boycott have vowed to enact fresh measures against the state, after it refused to comply with their initial demands. Saudi Arabia, the United Arab Emirates, Egypt and Bahrain issued a joint statement arguing that the Qatari government's refusal to co-operate offers proof of the state's links to terrorism. Qatar denies supporting terror. Reuters poll have released forecasts for where currencies are headed. The poll sees most major Asian currencies slipping against the dollar by the year end, but at a slower pace compared to last month's poll. The Norwegian and Swedish crown are also seen weakening against the dollar. 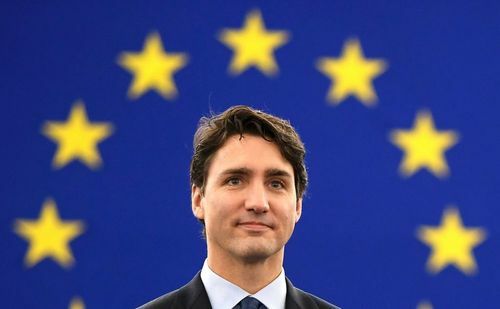 Ahead of the G-20, Canada's leader Justin Trudeau tells Germany's Bild newspaper that they will tell Trump that it's important to take a lead in tackling climate change. Trudeau says there's "absolutely no doubt" that climate change is happening, according to Reuters. Trudeau says that instead of stopping trade, we must create opportunities for smaller companies and protect workers' rights with progressive trade agreements. The CBI says Britain should remain in the single market until a Brexit deal is in force. This ahead of an informal meeting between corporate leaders and the UK Government later today. The business organisation's Director General Carolyn Fairbairn also pointed out that it won't be possible to agree on a final trade deal by the end of the Brexit negotiations. 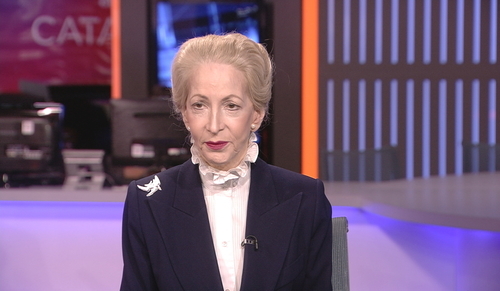 Lady Barbara Judge is chairman of the Institute of Directors, which represents small and medium-sized businesses. 80 percent of the U.K. is small and medium-sizes business, so we have a big voice and we’ve been calling for, first of all, certainty on European Union people here in the U.K.. Four out of 10 of our members employ EU citizens. We really have a role with respect to EU citizens. Second of all, we, like the CBI, have been calling for transitional arrangements for a long time. We really believe we need access to the customs union and single market until we leave the EU and we need a transitional time, because business hates uncertainty. German May industrial output rose 1.2 percent month on month, versus 0.7 percent in April, according to the economy minister. This beat forecasts. The ministry says the upswing in the industrial sector has broadened. Meanwhile, Norway's May manufacturing output dropped 0.3 percent month on month. This matched Reuters expectations. Stocks in Asia follow Wall Street into the red, weighed down by big tech names and the continued rise in yields. It's started with a handshake, but world leaders prepare for tense moments with U.S. president Donald Trump at the G-20 summit, amid disagreements over trade and climate change, and his first ever meeting with Vladimir Putin. The memory chip supercycle fuels record earnings for Samsung, as it forecasts a $12 billion operating profit in the second quarter. The cost of cyber crime mounts. Mondelez lowers its second quarter revenue growth forecast due to the recent attack, while a new report suggests hackers are targetting nuclear power stations. Here's a round-up of central bank news today. Federal Reserve Vice Chair Stanley Fischer is calling on policymakers to implement legislation to boost "dismal" productivity. Fischer said the government could do more to invest in research, infrastructure, education and public health, among other areas. 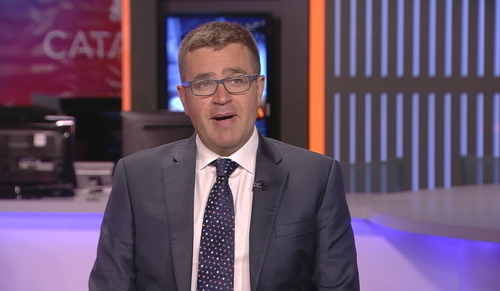 He added that the current policy environment was making businesses "reluctant to invest". Meantime, Federal Reserve Bank of Cleveland President Loretta Mester says the Fed should shrink its $4.5 trillion balance sheet "sooner versus later." Mester, who is not currently a FOMC voting member, added that the central bank could raise rates and launch a balance-sheet plan at the same meeting. This despite comments from other Fed officials suggesting the two actions should not take place at the same time. Also, the recovery has finally arrived. That's according to ECB board member Benoit Coeure. In a joint interview with French and Italian newspapers Le Monde and La Stampa, Coeure warned however that it would be "unwise" for the ECB to "let it's guard down." 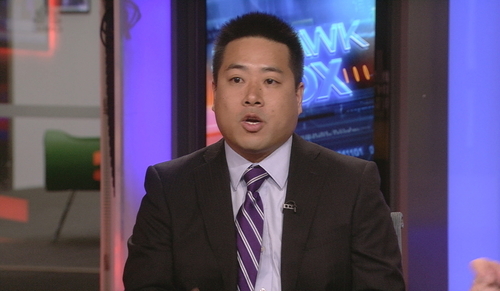 He said the central bank will continue to adjust its policy as needed. 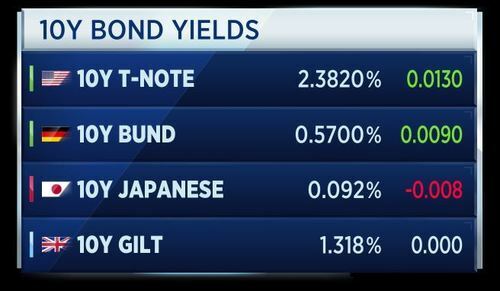 Central bank hawkishness is being seen in bond yields. The German 10-year bund broke above 50 basis points yesterday for the first time since early 2016. The Renault-Nissan alliance confirms its annual synergies have risen 16 percent to 5 billion euros in 2016. The car-makers confirm the alliance is on track to deliver synergies of at least 5.5 billion euros. Siemens says it has no credible evidence of actual deliveries of its turbines to the Crimea. The company says it is has a task force investigating the matter. Siemens says if there were any re-routings of recently purchased turbines to Crimea, it would be a violation of contractual agreements. The company says it will take operational measures to prevent the equipment being used in an unlawful way. French May industrial output increase 1.9 percent month-on-month, compared to a fall of 0.6 percent last month. This beat forecasts of 0.5 percent growth. Also, the French budget deficit was 66.4 billion euros in May, versus a deficit of 65.7 billion euros a year earlier. The trade deficit narrowed to 4.9 billion euros in May, versus a deficit of 5.6 billion euros in April. Oil has been trading down more than 1 percent. This after both the U.S. and OPEC reported production increases. The dip comes as leaders from major oil producers are set to meet in Istanbul for the World Petroleum Congress. Herman Wang, OPEC specialist at S&P Global Platts, discusses oversupply in the market and geopolitical risks facing the market. This geopolitical stuff is always something to watch in the oil market, but you had this escalation of this crisis and there’s a lot of dominoes here. Obviously you talked Syria, there’s the war in Yemen, there’s Saudi and Iran. Saudi is now cozying up to the Trump Administration and the Trump Administration seems to be looking for an excuse to re-impose sanctions on Iran, so there could be an impact on Iran’s oil sector. We’ve got Libya also involved, Egypt and the UAE are heavily involved in the conflict going on in Libya. There’s a lot of dominoes here. Sweden's household consumption is up 0.3 percent month on month and 2.8 percent year on year in May, according to the country's stats office. Germany's finance minister Wolfgang Schaeuble has cancelled an appointment in Hamburg as part of the G-20 summit due to the security situation in the city, according to organisers. 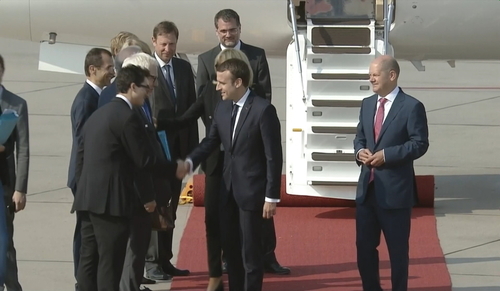 French president Emmanuel Macron has arrived in Hamburg for the G-20 summit of world leaders. Munich prosecutors announce it is investigating several individuals for fraud and false advertising in relation to the Audi diesel probe. Management board members at Audi are not among those under investigation. An Audi employee was arrested and brought before a judge. The employee is now in custody. The prosecutors say the arrest was made at behest of Munich prosecutors, not U.S. authorities, and was made following searches carried out by Munich prosecutors. Reporting from the G-20 summit in Hamburg, Annette Weisbach says many bilateral will take place at the G-20 summit today. We have Trump and Putin meeting for the first time at 4:00 reportedly. They are going to miss the session on climate change, which of course might be in the interest of Donald Trump. The president took to Twitter this morning ahead of the summit. 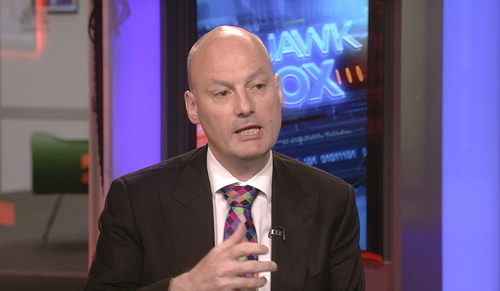 Bob Ward, policy director at Grantham Research Institute, says the coal industry is in long-term decline. It’s simply cheaper in most parts of the United States to burn natural gas, or renewables, to generate electricity. That was the reason that President Trump cited for his opposition to the Paris Agreement, that it was killing the U.S. coal industry and that’s simply not true. Speaking in Hamburg at the G-20, EU President Juncker says the EU trade agreement with Japan shows we are not putting up "protectionist walls". He says the EU will respond "adequately" if U.S. take punitive trade measures on steel. EU Council President Tusk says Europe has been waiting for a long time to hear the words from Trump that he said in Poland. Tusk says now the question is whether Trump's comments on the transatlantic community represent new policy or are just words. The Bank of Spain says banks' non-performing loans ratio is 8.85 percent in April. 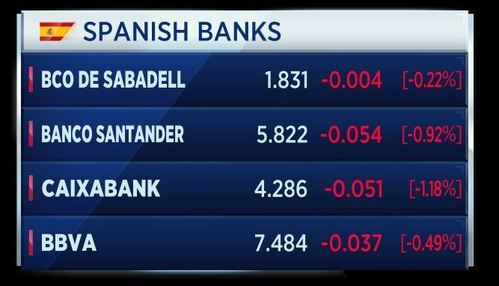 Spanish banking shares are down today. The countries leading the Qatar boycott have vowed to enact fresh measures against the state, after it refused to comply with their initial demands. Saudi Arabia, the United Arab Emirates, Egypt and Bahrain issued a joint statement arguing that the Qatari government's refusal to co-operate offers proof of the state's links to terrorism. Qatar denies supporting terror. 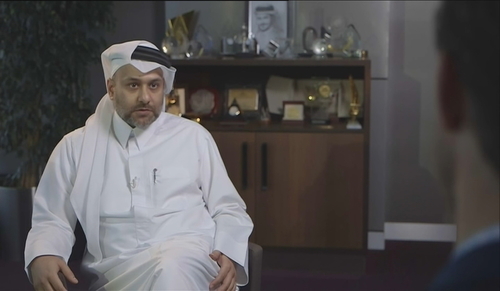 CNBC’s Willem Marx spoke to Yousuf Mohamed Al-Jaida, CEO of the Qatar Financial Centre, about the impact of the situation. Initially, there was a sense of shock because of what happened. There was obviously an aggression against the state of Qatar and again business people don’t like mixing with politics interfering with their businesses. So I think hopefully the message I would like to send is post-crisis, Qatar will be stronger, more open, a destination of choice and a lot more stronger for the rest of the globe to consider. A BRICS communique has been published from Hamburg. The communique says the major economic should enhance macroeconomic policy coordination and avoid negative spillovers to emerging market economies. The BRICS (Brazil, Russia, India, China and South Africa) say they resolve to use all their policy tools to enhance resilience and the potential of emerging markets. They add that they firmly support a rules-based, transparent, non-discriminatory trading system. The U.K. May global goods deficit widened to £11.863 billion, worse than the £10.8 billion expected, from £10.595 billion in April. Total goods volume exported increased 3.8 percent over the past three months. Imports rose 2.8 percent. The non-EU goods trade deficit widened to £3.796 billion, from £2.621 billion in April. May manufacturing output fell 0.2 percent on the month, and is up 0.4 percent on the year. Construction output is down 1.2 percent month on month. Industrial output is down 0.1 percent month on month and 1.2 percent over the last three months. The U.K. ONS says transport equipment was the biggest drag on manufacturing in May. 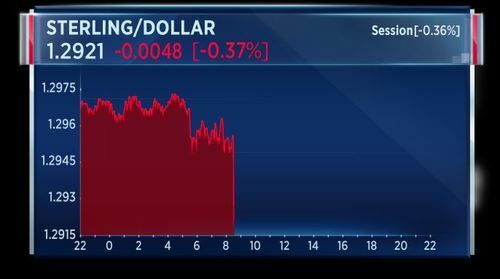 Sterling has dropped sharply against the dollar on the back of weak output and trade data. Audi, a car maker belonging to the Volkswagen Group, says June global sales are up 1 percent to 170,650 cars. January to June global sales are down 4.7 percent on the year to 908,950 cars. European sales are up 2.1 percent at 80,300 cars. The EU has released the full statement European Council President Donald Tusk made before the start of the G-20 summit in Hamburg. His statement was about migration and how Europe has been struggling with illegal migration. He says the European Union has reduced the number of irregular migrants from 158,000 in the first half of 2016, to 9,000 in the first half of 2017. He called on world leaders at the summit to help stop migrant smuggling. We need more efforts at the international level to break the smugglers' business model. This is why I will propose to all the G20 leaders to pursue targeted UN sanctions against smugglers. By this I mean assets freezes and travel bans. It is the very minimum that can be done at the global level. Unfortunately I have to say that today we do not have the full support even for this minimum. If we do not get it, it will be a sad proof of the hypocrisy of some of the G20 members. 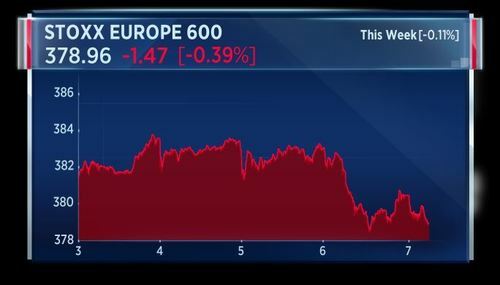 Two hours into European trade and the Stoxx 600 is struggling, down around 0.4 percent. The weak oil prices are dragging on stocks in that sector. 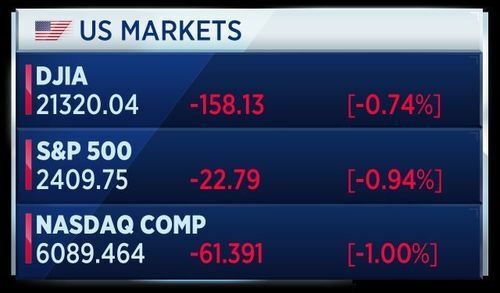 Over the week, the pan-European index is down 11 basis points. These are the stocks at the top and bottom of the index. Carrefour is leading the losers, with shares down more than 4 percent. Despite reporting positive sales numbers this morning, traders are concerned about pressure on its profit margins, as well as the cost of integrating recent acquisitions in Spain and Romania. 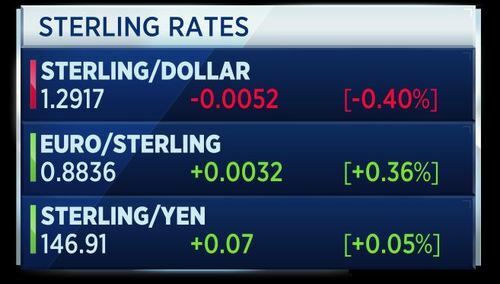 Sterling is under pressure this morning. The U.K. trade deficit widened more than expected in May. Output in manufacturing, construction and industry is also down. House prices fell around 1 percent in June. 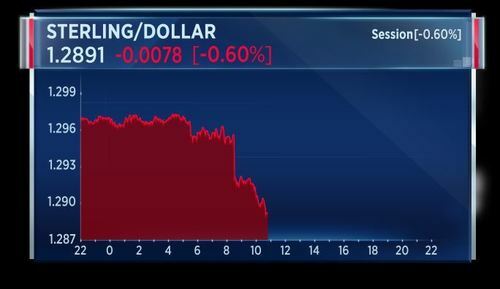 As a result, the pound is down about 0.4 percent against the dollar and euro. It is managing to stay level with the Japanese yen. Russian news agencies report that Putin and Trump have already shaken hands at the G-20 summit in Hamburg, according to Reuters. The U.S. and Russian presidents are going to meet this afternoon around 1600 CEST. This will be the first face-to-face meeting between the two since Trump became president. A Kremlin spokesman says Putin is keenly anticipating the meeting with Trump. Russia's energy ministry says it is ready to consider proposals from partners on making changes to the global deal to cut oil production if necessary. That's according to Reuters. The fallout from the recent Petya cyberattack is still causing problems. Germany's BSI Federal Cyber Agency says the the threat from recent cyber attacks is greater than initially thought. It says companies using the Ukrainian accounting programme implicated in the Petya attack may be affected, even if there is no sign of a breach, according to Reuters. The BSI says some companies in Germany have seen production and other critical processes halted for other a week as a result of the cyber attack. This will result in damages totaling million of euros. Dow Jones has reported that President Donald Trump and Vladmir Putin have already shaken hands and Putin is keenly anticipating meeting with Trump. It's an historical political meeting, the first ever face-to-face encounter between Russia's President Vladimir Putin and President Donald Trump. Both leaders are scheduled to meet just before 3 p.m. London time on the sidelines of the G-20 meeting in Hamburg, Germany. The issues on the table range from terrorism, Syria and North Korea, but political analysts don't expect any significant outcome. CNBCIt's an historical political meeting, the first ever face-to-face encounter between Russia's President Vladimir Putin and President Donald Trump. France warns against all travel to North Korea given heightened tensions and "uncertain and unpredictable" climate there. That's according to Reuters. CNBCWage growth in the monthly employment report is of particular concern to some strategists and economists. The U.K. National Institute of Economic and Social Research says the U.K. economy probably grew by 0.3 percent in Q2. We won't get the official preliminary estimate of Q2 GDP growth from the Office for National Statistics until July 26th, but this is a useful indicator.